We constantly tinker with strategy to ensure we provide the best solutions for our clients. Everybody at this table eats. 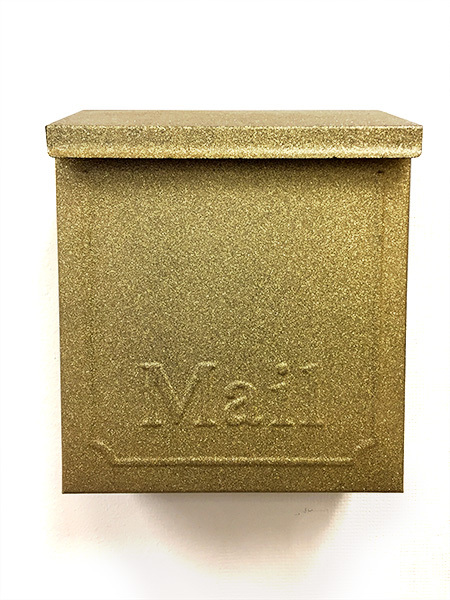 From the mail carrier (that golden mailbox was made just for Billy) to our biggest client, we live by the golden rule. It all started when one of our founders left a senior leadership position at one of the world’s largest public relations firms to work from a dining room table (which is now the conference room table). Immediately competing on a national scale, Snackbox became the public relations agency of record for Chinet disposable tableware … and the rest is history. At Snackbox we approach public relations a little differently. Not only do we take the “relationship” part of PR seriously, but we do our homework on journalists, we’re careful about who we reach out to and when. We’re strategic with the creation of our pitches and our follow ups. We put in serious time to net serious results. We’re not afraid to recreate our work in an effort to achieve an even better outcome. And ultimately, we’re incredibly successful at PR because we don’t look at it as a one-size-fits-all solution for our clients. While best explained in a very linear manner, our process is carried out in a more flexible way. We encourage creative solutions and rarely expect our team to repeat history. Every client has different stories to tell, different problems to solve and we aim to provide incredibly customized solutions. To gain understanding of the problem allows our team to identify potential solutions. Through gathered information, we analyze and synthesize findings to define core issues. Taking what we’ve defined, we begin generating ideas through a variety of techniques. Building on our ideas, we create solutions and implement them to evaluate best practices. We self-evaluate throughout our process and determine refinements necessary to best succeed. Our creative teams are comprised of people who come from pedigreed backgrounds and who hold both a passion for their craft and an unwavering focus on achieving results for our clients. Jenna aimed to create something different through the launch of Austin PR firm Snackbox. Taking her large agency and big brand experience, she turned a dream into reality through the win of Chinet disposable tableware, ultimately beating a top five firm in the world for the business. She is a graduate of Leadership Austin’s Emerge and an Austin Under 40 finalist, an Austin Business Journal Profile in Power and Best CEO nominee. Her byline is regularly seen in a wide range of publications including Fast Company, Bulldog Reporter and Austin Woman Magazine. Professionally trained in design and advertising, Eric has spent decades perfecting his craft. His career began on the West Coast, focused on creating and producing television commercials for brands like Energizer and Taco Bell. Through his five-step process of design, today he specializes in branding, graphic design and advertising for a variety of clients in many different sectors. His work has been recognized for excellence in design through The One Show, Archive Magazine and Print Regional Design among many other honors. Jeff is an Emmy Award-winning journalist with 20 years of experience in broadcast news and public relations. He spent more than a decade with CNN, responsible for planning and coordinating coverage with the network’s 11 domestic news bureaus and more than 900 local television affiliates. While with “the world’s news leader,” Jeff covered stories like the Oklahoma City bombing, death of Princess Diana, Elian Gonzalez custody fight, and the 9/11 terrorist attacks. Today he applies his journalistic skills to the art of storytelling in public relations. An award-winning online marketer, Brooke has served as a SXSWi Board Member and is a published author. At the LIVESTRONG Foundation she created a grassroots online community of more than three million passionate supporters and was instrumental in building an online crisis communications strategy to move the organization beyond the controversy surrounding the cycling career of its founder, Lance Armstrong. Today she applies a wealth of knowledge to her digital clients throughout the country. A former lead for consumer PR at Dell, Lisa has a long history in developing meaningful relationships which have resulted in high-profile placements in outlets including CNN, New York Times, USA Today and Wall Street Journal. Responsible for developing and executing compelling programs for consumer and technology organizations, she has led countless global consumer public relations campaigns. Today she specializes in developing PR strategy for her clients as well as being a key relationship builder between her clients and major national media outlets. With nearly 20 years of experience, Mark focuses in both back-end and front-end application design and development. He specializes in both the LAMP and MS technology stacks and has a large amount of experience in cutting edge technologies and techniques like responsive design, nod.js, NoSQL databases and SPA/SPI style web applications. He’s also been responsible for a tremendous number of integrations – taking disparate systems and making them work together as a single application. Specializing in creative storytelling, Jamie has been mentored by some of the best public relations professionals in the business. In a very short time she’s moved from intern at Snackbox to Account Executive, proving her dedication and passion for her work and her clients’ successes. Her work has appeared in a wide range of outlets from national press to local community media. In addition to her strong relationships with reporters throughout the country, she prides herself on strong relationships with her clients, too. Editor and writer, she has authored books, magazines, blogs and more. LuAnn has a proficiency for taking technical content and translating it into everyday language. She’s served as a guest speaker and panelist for organizations like SXSWi and has guest lectured at Concordia University and St. Edward’s University. She is a volunteer mentor for Women Communicators of Austin and a co-host of Careers Over Coffee networking group. Think you have what it takes? Tell us why you’d make a great addition to the Snackbox team and we’d be glad to consider you.